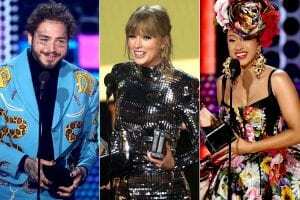 The 46th annual American Music Awards 2018 took place that Stars flocked to the Microsoft Theater in Los Angeles on Tuesday to see their favorite musical talents perform and get recognized for their yearly accomplishments during one of music’s biggest nights, the 2018 American Music Awards. 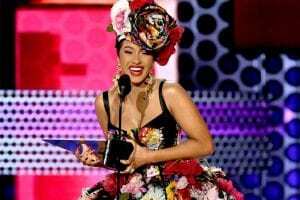 Shortly after Taylor Swift made her grand return to the AMAs stage for the first time since 2014 as the show’s opener, Cardi B won the first award for Favorite Artist in the Rap/Hip-Hop genre. Swift later won Tour of the Year, Artist of the Year, Best Pop/Rock Album for Reputation and Favorite Female Artist in the Pop/Rock genre, breaking the record for most wins by a female artist. 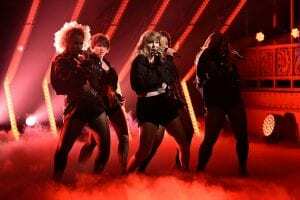 Anyone expecting Taylor Swift to double down on her recent political statements during her show-opening performance on the “American Music Awards” Tuesday night didn’t get much to chew on — at least not without dissecting the lyrics of “I Did Something Bad,” which she performed in a similar format to her “Reputation” tour. The song’s intro was drawn out as the stage was bathed in red lights and Swift, accompanied by 20-odd dancers, performed in front of a U-shaped structure from which the tour’s famous giant cobra emerged toward the end of the song. However, the song’s lyrics did have some added frisson, taken in the context of Swift’s post on Sunday, excoriating Tennessee Senator Marsha Blackburn and promising to support her adopted home state’s Democratic candidates in the forthcoming midterm elections. The songs opening lines address narcissism and lies, the chorus goes “They say I did something bad/ Then why’s it feel so good?/ And I’d do it over and over and over again if I could”; pyrotechnics were set off during the lines, “They’re burning all the witches, even if you aren’t one/ So light me up. Was Swift, who rarely does anything publicly without careful calculation, commenting on her statement, the president’s dismissive reaction to it, or the news that, in the 24 hours after her post, an estimated 65,000 U.S. voters registered, more than in the entire month of August? Probably not. But if she did, we were all (sorry) ready for it. Taylor Swift opened the 2018 AMAs, marking her first awards show in three years. Swift also set a new record for most wins by a female artist in history (previously held by Whitney Houston) by taking home four new titles — Tour of the Year, Artist of the Year, Best Pop/Rock Female Artist and Best Pop/Rock Album. 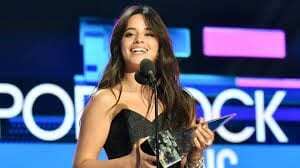 Other wins include Camila Cabello‘s “Havana” feat. Young Thug (three wins for Best Collaboration, Video of the Year, Favorite Pop/Rock Song), Cardi B, Post Malone, Migos, Khalid, Rihanna, XXXTENTACION, BTS and the Black Panther soundtrack.  See the complete list of winners (in bold) and nominees below and share your thoughts in the comments.